Victoria Cole graduated from Nottingham Law School in 2010 before working as a Paralegal at a Nottingham firm. She joined Kerseys in October 2012 and qualified as a solicitor in April 2014. Victoria is identified in the Legal 500 as a Next Generation Lawyer. I can’t praise her highly enough for how effortless she made the process. Victoria kept me informed at every opportunity and I always felt prepared. 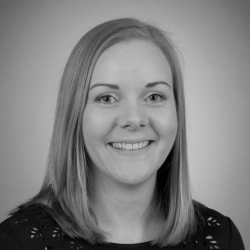 Victoria is Chair of the Ipswich YRes group (Resolution’s network of young family law professionals) and Treasurer of the Suffolk and North Essex Junior Lawyers Division. In her spare time, Victoria enjoys reading, walking and socialising with family and friends.